Help us keep safe, high-quality Canadian milk on Canada’s tables! Add your email below to show your support! As you may have heard, last April, President Trump expressed that he has a problem with Canadian milk. During his campaign, President Trump criticized the North American Free Trade Agreement (NAFTA), as well as many other trade deals signed by the U.S., due to his personal perception that they are unfair to his country. Predictably, when President Trump took office in January, he made his intentions clear to Canada and Mexico by noting in numerous speeches to Americans his view that NAFTA is a ‘disaster for our country’ that must be re-negotiated. Since April, when President Trump called out Canadian milk, Canadian dairy farmers have been overwhelmed by the outpouring of love and support from our fellow citizens from all corners of the country. For this, we are extremely grateful and can’t thank you enough! Now, as we get closer to the negotiations, your continued support is even more important. On May 18th, the Trump administration wrote to Congress, officially triggering the 90-day consultation period required in the U.S. before the re-negotiation of NAFTA can formally begin. Although the U.S. has yet to publish their priorities for the re-negotiations, it is likely that Canadian milk will be one of the U.S.’ main targets. 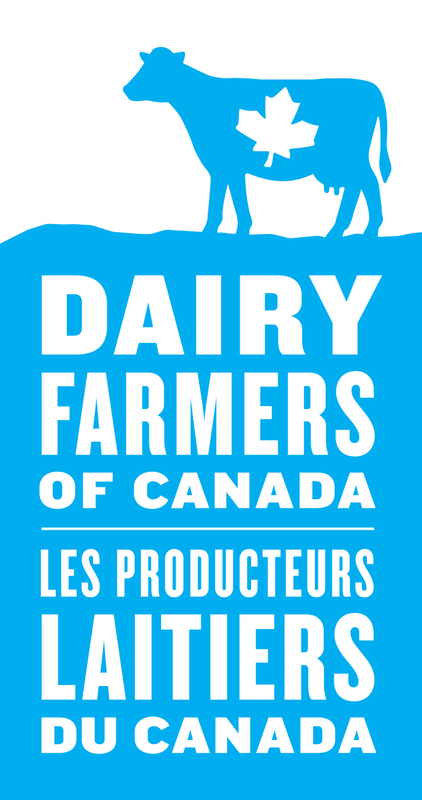 At a meeting in Toronto with Canada’s Agriculture Minister, Lawrence MacAulay, on June 5th, U.S. Secretary of Agriculture, Sonny Perdue, noted that “..if you want to manage your dairy supply with supply management, that’s fine. You just need to manage it and not overproduce to create a glut of milk solids on the world market that’s being dumped at unfair prices.” We are pleased to see that Secretary Perdue isn’t opposed to supply management, but as to the second part of this quote, there appears to be a misunderstanding. The simple truth is that, as Secretary Perdue alluded to, in the U.S, and around the world, too much milk is being produced. When too much milk is produced, prices crash; the end result is job loss, loss of income for farmers, and in some cases, farmers having to shut down their farms. However, in Canada, under supply management, by definition, our dairy farmers focus on serving our domestic market, producing only so much as the market requires. Our entire system revolves around servicing our domestic market - not dumping milk on the world market. It looks like President Trump’s solution to the oversupply of U.S. milk, as identified by Secretary Perdue, will be to attempt to force Canada to grant further access to our dairy market through NAFTA. Of course, the President hasn’t given a single thought to the impact this would have on Canadian dairy farmers, who would suffer the consequences of this excess U.S. milk being dumped on our market. We Canadian dairy farmers sympathize with our American counterparts who can’t find a home for their surplus milk – but Canada is not a miracle solution to chronic oversupply. Canada only has a population of approximately 33 million people (less than the state of California). Even if we ignore the fact that it would be devastating to Canadian dairy farmers, and give in to the demands of the U.S. for market access, there is no way Canadians could possibly drink away the US oversupply of milk - there just aren’t enough of us! In May 2017, Abacus Data published a poll which found that 92% of Canadians are happy with the range and quality of dairy products available in Canada, and 77% are satisfied with Canadian dairy policy. Furthermore, a second survey, published by Campaign Research, found that 75% of Canadians approve of supply management. As Prime Minister Trudeau noted recently, supply management “works for our farmers, it works for our agricultural industry, and it works for Canadians”. We are currently gearing up for the re-negotiation of NAFTA, which is likely to begin in mid-August. To be ready, we have revamped our 2015 campaign and logo, and modernized them for 2017. We invite you to join that vast majority of Canadians that support supply management, and use the hashtag #mycanadianmilk as well as the My Canadian Milk logo to show your support. We will keep you informed of any additional actions you can take to help us protect Canadian milk and Canadian dairy farmers. Join thousands of Canadians and defend your milk!